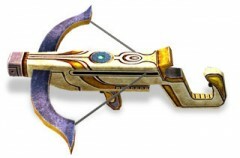 While considered by many to be merely a mini-game collection Link’s Crossbow Training has sold more copies than the latest title in the Zelda series: Skyward Sword. For those unfamiliar with the game, Link’s Crossbow Training, which is a scrolling shooter game set in a post-Twilight Princess Hyrule, asks the player to use the Wii Remote as a crossbow to shoot the many monsters and targets scattered throughout the land to destroy of the last of Ganondorf’s evil. As of August 2012 Link’s Crossbow Training, which was released in 2007 and rated 7 overall by IGN, has sold over 4.95 million copies leaving Skyward Sword, which achieved a perfect 10 from IGN, in a long trail of dust selling just over 3.36 million copies. Although Skyward Sword has only been out less than two years in comparison to Link’s Crossbow Training’s five, the scandal doesn’t end there, in fact the only games Link’s Crossbow Training hasn’t outsold are Ocarina of Time, Twilight Princess and the original Legend of Zelda which leaves it at the position of the fourth best-selling Zelda title! This raises the question of why is Link’s Crossbow Training so popular, is it the Wii Zapper peripheral it comes bundled with, the cheap price of only $20, the family friendly answer to the ever-popular first person shooters it provides, or is it simply that it allows us to explore the beautiful sweeping scenery of Twilight Princess? Although we may never know the answer there is one thing we all know for sure, people will never get tired of becoming the green clad hero of Hyrule.